← How to convert URL to bitmap image? 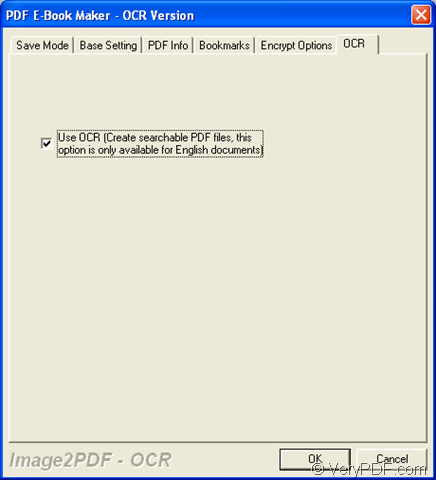 For the purpose of converting XBM to searchable PDF document, you use the GUI application VeryPDF Image to PDF OCR Converter and the command line application Image to PDF OCR Converter Command Line to help you. These two applications which are OCR tech embedded can recognize the characters in your XBM file accurately. To download either of these two applications, you need to enter the homepage: http://www.verypdf.com/app/image-to-pdf-ocr-converter/index.html. For using the GUI application, please install it on your computer by following the installation wizard after you double click the setup file. While the command line application just needs to be unzipped instead of installation. 1. 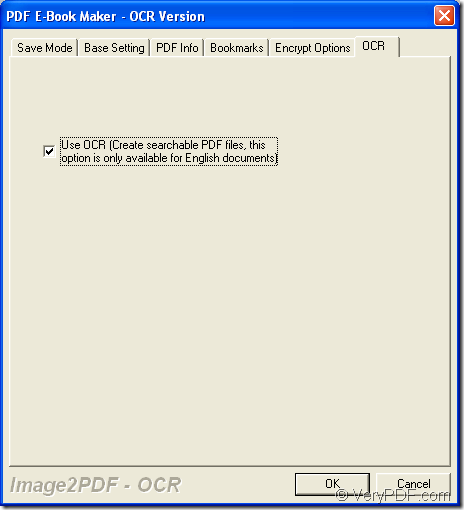 Open the application by clicking “Start”—“All Programs”—“Image2PDF OCR v3.2”—“Image2PDF OCR v3.2”. Then add XBM format file by dragging and dropping it into the application until the file appear in file list. To browse the image, you can double click it in the file list or single click it to see its preview in preview frame above the file list. If you want to delete the file, just right click it and choose “Delete Selected file” in popup floating item. Please see the interface of the application in Figure 1. 2. Then you need to click “Setting” button to open “PDF E-Book Maker” dialog box where please click “OCR” tab for checking the option “Use OCR” in the tab and click “OK” button to close the dialog box. See the dialog box in Figure 2. 3. Please click “Make PDF” button and click the option “convert selected 1 file into pdf file” in floating item to open “Save as” dialog box. Then ensure the location and edit the name for the target file in “Save in” dropdown list and “File name” edit box. Click “Save” button to run the conversion from XBM to searchable PDF. 1. Click “Start”—“Run” to open “Run” dialog box in which you need to input “cmd” or “CMD” in “Open” combo box, then click “OK” button. The first example is to convert one XBM to one searchable PDF document. The options –x 1, –c, –s respectively stand creating searchable PDF document, clearing image spot, correcting image skew. The second example is to convert XBM to searchable PDF documents in batch. The wildcard character “*” is supported in batch conversion. 3. Then please hit “Enter” button on the keyboard to run the conversion from XBM to searchable PDF document. To see the usage of the command line application, you can directly drag the executable file img2pdf.exe in extracted file to MS-DOS interface and press “Enter” button. How to produce colorful flip book quickly? How to convert PCL to PCX and set page orientation? Can I get one pdf file converted from many pcl and pxl print files simultaneously? How to Convert Pxl to Pdf?